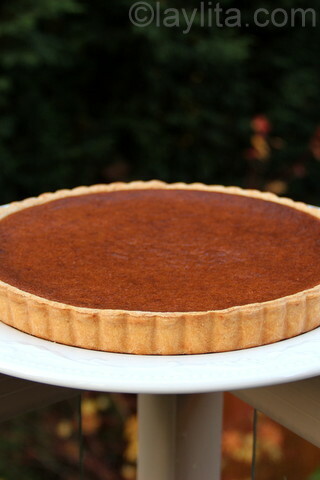 This pumpkin tart was inspired by a pumpkin or squash dessert called dulce de zapallo, a candied squash or pumpkin cooked in syrup of spices and panela or piloncillo, which is unprocessed brown sugar. 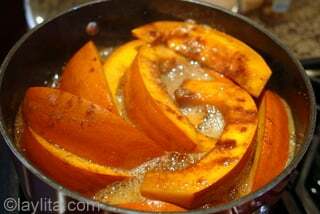 The squash is caramelized and completely infused with the flavors of cinnamon, cloves and all spice – it is my favorite way to eat squash or pumpkin. 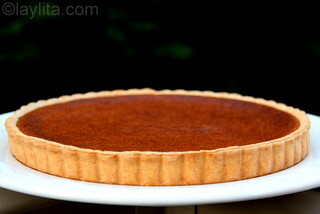 I wanted to make a pumpkin tart that incorporated the taste of dulce de zapallo. I’m not a huge fan of pies with a lot of bland sweet filling and prefer a crunchier tart crust with a smaller layer of filling that is packed with flavor. 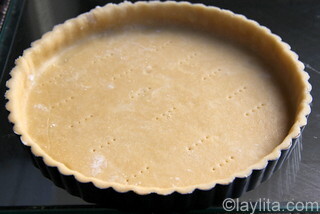 You can use a store bough tart shell, uncooked though, or you can make your own at home. Tart dough is very easy to make at home, especially if you have a food processor. 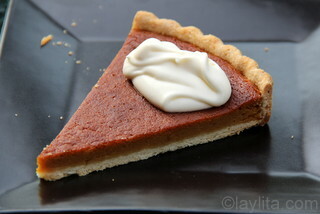 My recipe for tart dough is simple and easy to make, for this pumpkin tart recipe you can spice up the dough by adding a little bit of ground cinnamon to the mix. 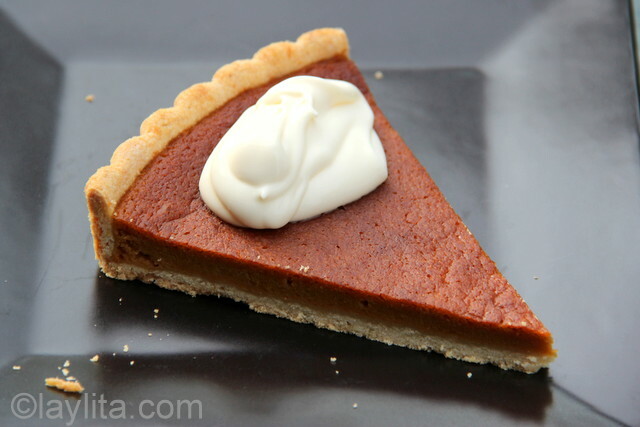 Delicious pumpkin tart recipe made with pumpkin previously caramelized in a syrup of spices and panela (piloncillo or brown sugar). Place the uncooked sweet tart shells in the fridge so that they are chilled when ready to use. 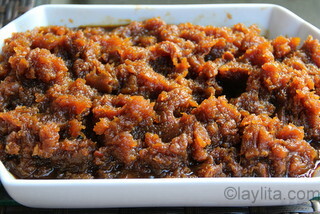 Use mixer to puree the candied pumpkin or dulce de zapallo. 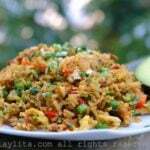 Add the eggs and pinch of salt, continue mixing until well combined. 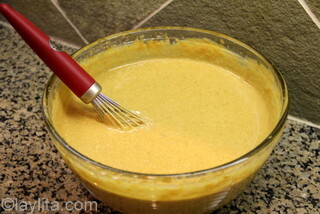 Use a whisk to mix in the cream and mix well. 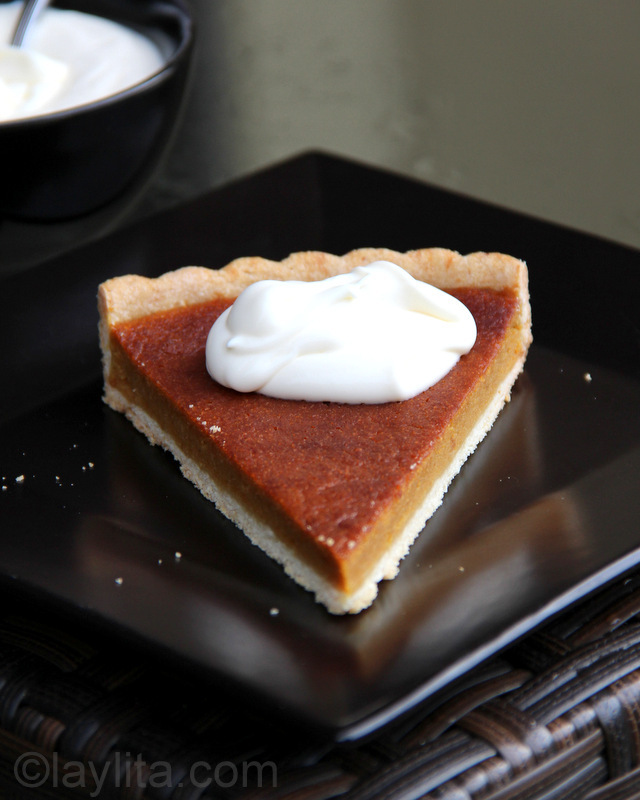 Pour the pumpkin mix into a chilled tart shell. Bake at 375F until the filling has set, about 45-55 minutes. Let the tart cool down, remove from the mold and serve with honey crème fraiche sauce. 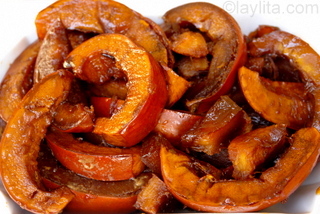 You can make the dulce de zapallo o candied pumpkin ahead of time. 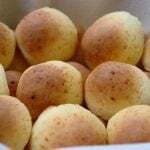 I usually make a large batch and then eat some just as is, with a piece of fresh farmer’s cheese or queso fresco, and save the rest for making desserts. 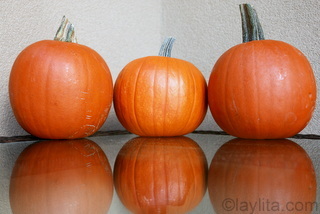 Over the years of living in the US, I’ve noticed that it’s sometimes hard to find fresh pumpkins during Thanksgiving, there are plenty up until Halloween and then it seems like some stores just stop selling them. 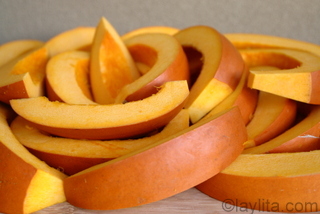 I was lucky enough to find some nice baking pumpkins, but dulce de zapallo can also be made with any type of squash – in fact, butternut squash is one of my favorites to use for dulce de zapallo. 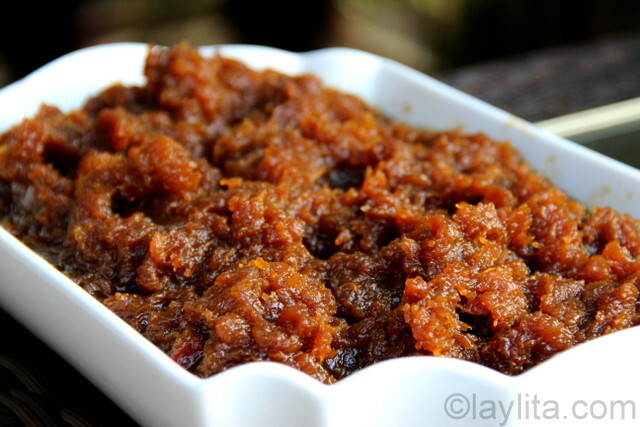 So, don’t let not finding fresh pumpkins stop you from making this dessert, any fresh squash will be better than the canned stuff. 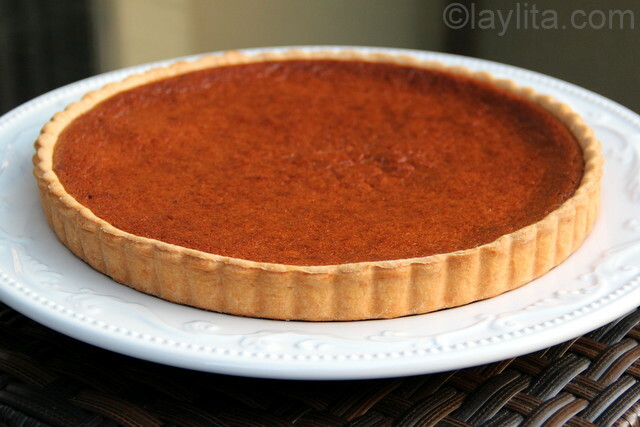 I’m still going to call it a pumpkin tart regardless of which type of squash is used – pumpkin tart just sounds yummier than squash tart. 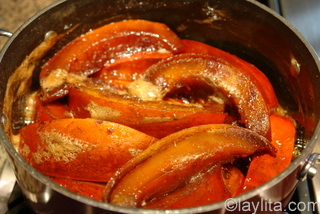 The dulce de zapallo is very sweet so I don’t add any additional sugar to the pumpkin filling, but you can add sugar or some of the panela syrup of you want it sweeter. 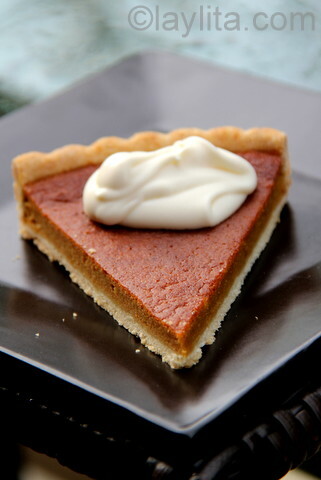 I made a quick honey crème fraiche sauce to use as a topping for this tart, the tanginess of the cream pairs very nicely with the sweet spiciness of the tart.